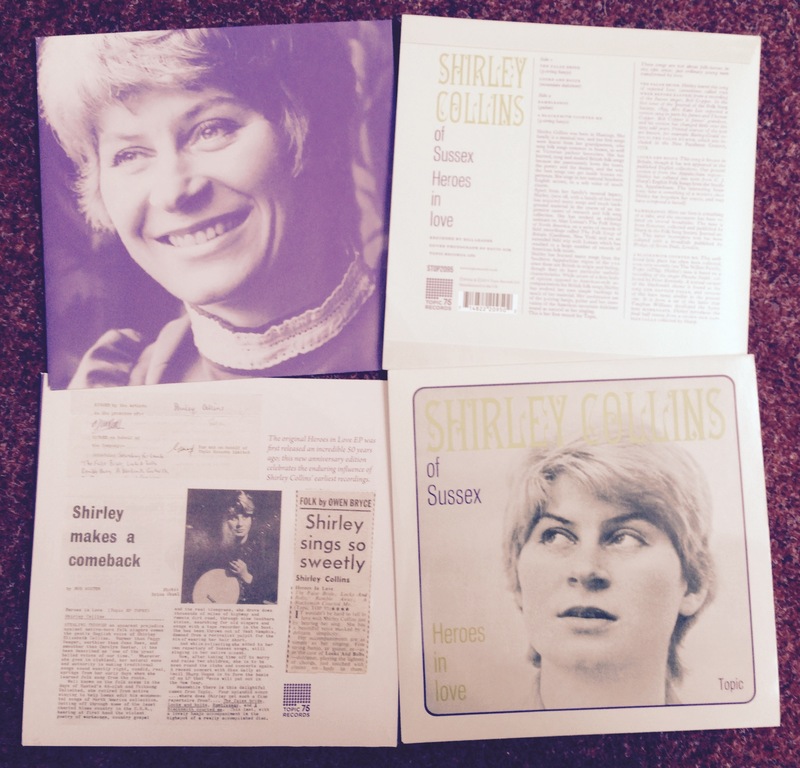 One of a selection of cornerstone Topic recordings being released on vinyl as part of Topic Recordsâ€™ 75th anniversary, SHIRLEY COLLINSâ€™ Heroes in Love EP will be released in September 2014 in a front-laminated, flipback sleeve, just like the original, and a new illustrated inner with period reviews from the Topic archives. 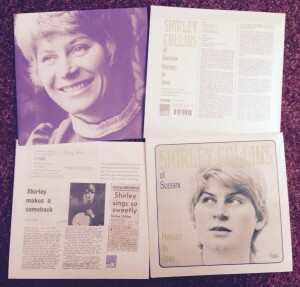 Shirley Collinsâ€™ uniquely pure and delicate voice means that she is now regarded as one of the quintessential artists of the 1960s folk revival; this record is a highlight of that period, and this reissue comes at a time when Shirley is revitalizing her musical career with new performances and a film in progress documenting her life in music. Very rare in its original form, this will be the first time this iconic record has been made available as a vinyl EP since its first release half a century ago. We have endeavoured to faithfully match the original Topic EP sleeve with a beautiful gloss-laminated limited edition flip-back sleeve. Topicâ€™s first ever record was a shellac 78rpm, TRC.1., â€˜The Man That Waters The Workersâ€™ Beerâ€™ b/w â€˜The Internationaleâ€™; now, 75 years and many technological shifts later, the labelâ€™s latest releases are a series of vinyl records celebrating that 75th anniversary and a continuing love affair with a piece of plastic that is still the most exciting format on which to listen to music.